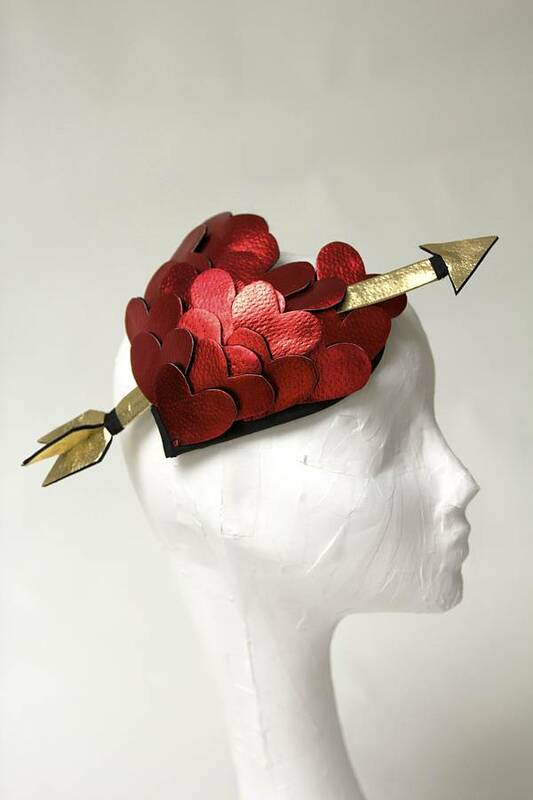 A beautiful red metallic leather, heart shaped headdress complete with gold leather arrow. 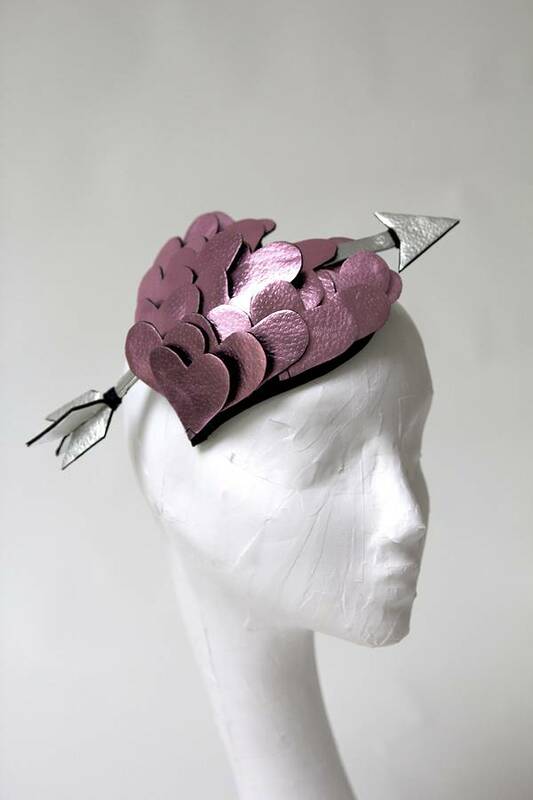 Perfect for a party, performance or rockabilly bride, this cute and quirky conversation piece will make you stand out from the crowd at any event! 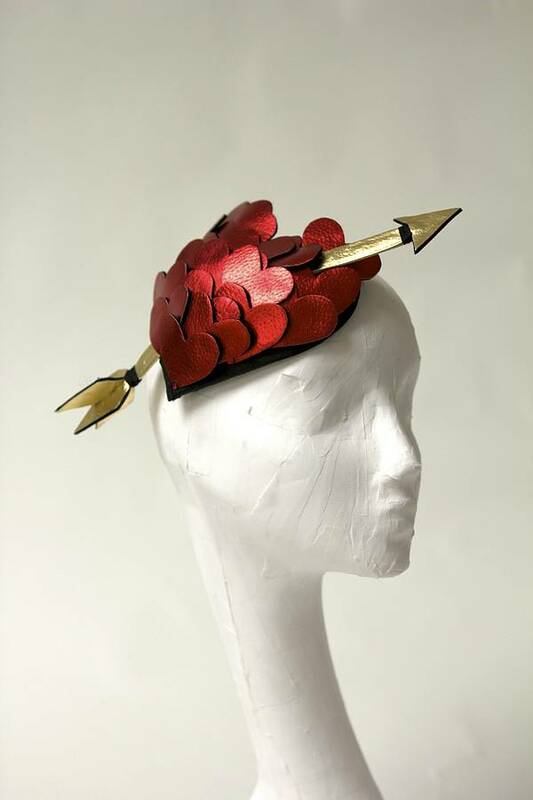 This headpiece has been hand-blocked in buckram and wired around the inside edge and rim. 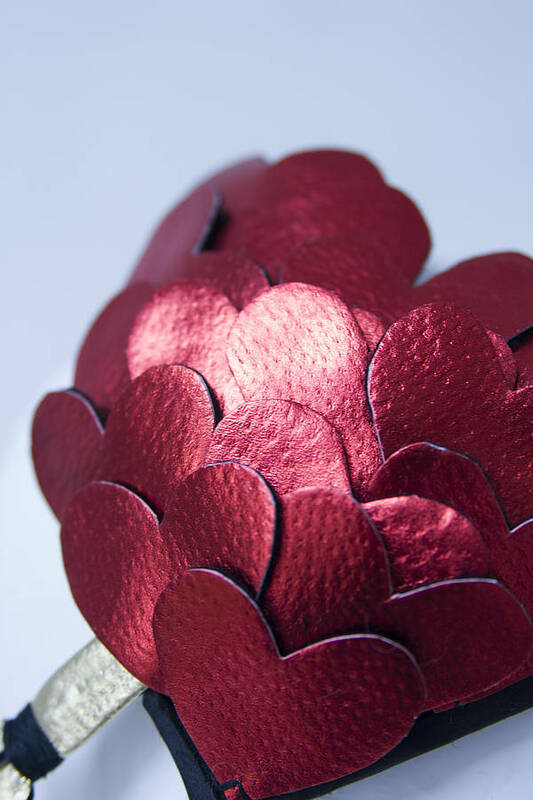 It has then been covered in a layer of muslin and felt to give it a soft smooth finish. Finally it has then been covered in an black silk dupion. 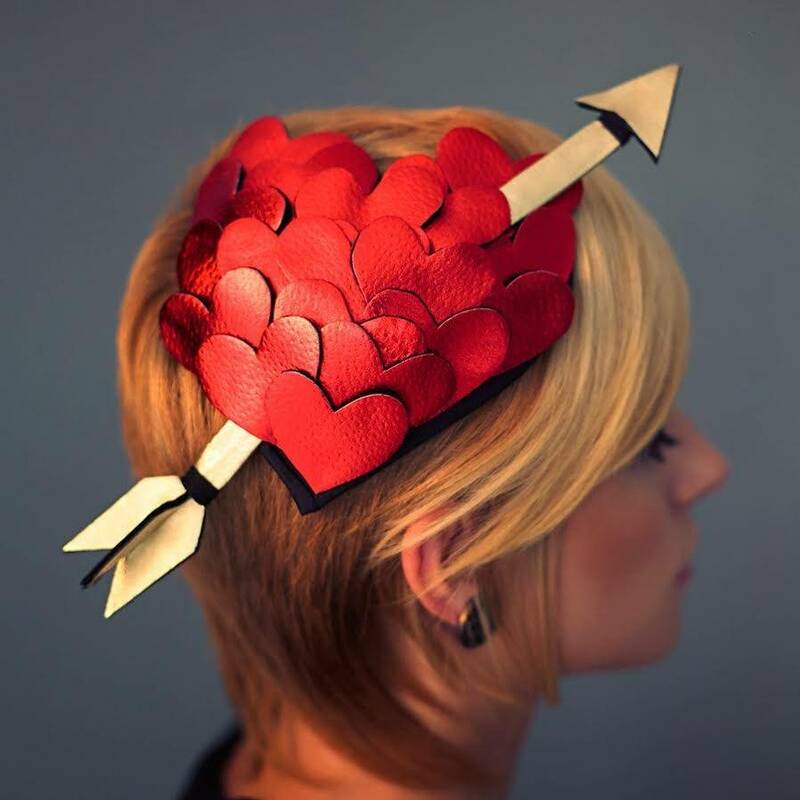 The top is decorated with red foiled leather hearts which have been carefully stitched in place and it has been finished with a gold leather arrow. 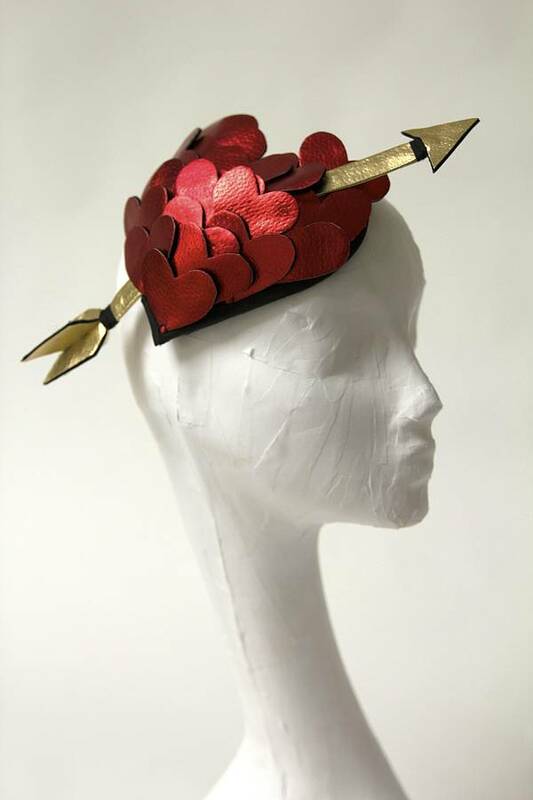 The hat is attached with a piece of thin black elastic, which is not visible on even the fairest of hair and keeps it in place well. Alternatively, I can insert a hair comb or clip for you instead, but from my experience the elastic feels more secure and is much easier to position into place. If you would like something similar but, in a different colour leather, please get in touch and we can discuss your design wishes in more detail. You can contact me using the 'ask seller a question' button. 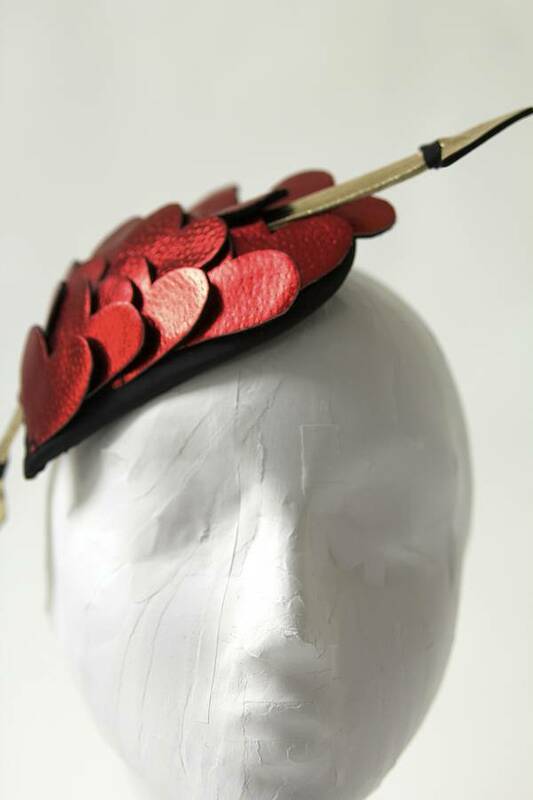 Metallic leather, silk dupion, felt, domette, millinery wire, elastic.